All social events, including parties, must be registered through the Office of Student Involvement at least 7 business days prior to the event. Approval for Parties and Dances require a meeting with the Director of Fraternity and Sorority Life and Involvement to discuss procedures and expectations. All social events at which alcohol is served must be registered through the Office of Student Involvement. Approval for the event is contingent on the availability of a paid monitor. The Office of Student Involvement has a form to be used to request a social event with alcohol. All social event requests will be procesed on a first come - first serve basis. Requests must be received by the Office of Student Involvement prior to 4:00 p.m. on the Wednesday preceding the date of the event. Approval will be granted by the Director of Fraternity and Sorority Life and Involvement and a copy will be sent to the sponsoring organization. All social events will be limited to members of the sponsoring organization and their invited guests and will be closed to the general public unless approved by the Office of Student Involvement and the Vice President for Student Life and Dean of Students. Events will be approved for Friday or Saturday night on any given weekend and will be limited to four hours duration between the hours of 8:00 p.m. and 1:00 a.m. Guests attending the event will be required to provide their own alcohol should they wish to consume alcohol. Hard liquor, grain alcohol, and wine are prohibited from all registered social events. Limits on the amount of alcohol will be one six-pack of beer or wine coolers (72 oz.) per person, per event. Only persons twenty-one years of age or older may bring alcohol into an event and only those who provide their own alcohol will be allowed to consume alcohol at the event. Adequate amounts of non-alcoholic beverages and food must be available for guests throughout the duration of the social event. Admission may not be charged nor may the sponsoring organization charge for non-alcoholic beverages or food provided unless a fundraising form was submitted prior and approved. Checking the identification of all guests. 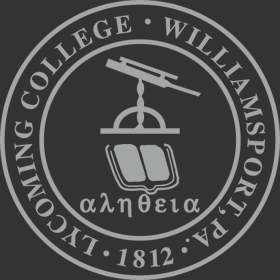 Guests bringing alcohol must present to the monitor a valid Lycoming College ID card or other form of acceptable identification (i.e. photo driver's license, PLCB card). Removing guests who are visibly intoxicated, disruptive, or in any way endangering themselves or others at the social event. Assisting host organization with the return or disposal of unused alcohol. In addition to the paid monitor, the sponsoring organization will provide a minimum of four student monitors, who are members of the organization, to assist the paid monitor for the duration of the event. Student monitors may not consume alcohol prior to or during the event. One monitor will assist the paid monitor in processing arriving guests; one monitor, who must be at least twenty-one years old, will serve as a designated server; and two monitors will make sure that the guests are following the student social event policy. The service area will consist of a single bar area with one designated server. Wristbands, provided by the College, will be issued at the entrance of the social event to guests of legal drinking age. Guests who are not wearing wristbands are not permitted to possess or obtain alcoholic beverages. Guests of legal drinking age (wearing wristbands) will be provided with a ticket stating the name of the host organization, name of the guest, date, type and brand of alcohol, and amount of containers. A guest may be served a maximum of one beverage at a time and his/her ticket must be hole-punched by the designated server. The server must refuse to serve an intoxicated individual. All social events shall have a designated ending time in accordance with school, local, and state ordinances and will at no time go beyond 1:00 a.m. "Last call" will occur thirty minutes prior to the close of the event. Unused alcohol will be returned to its owner as he/she exits the social event. Any unclaimed alcohol will be discarded. Alcohol must be concealed from public view when being transported to or from a social event. The sponsoring organization is responsible for the care of the facility and must arrange to have the area cleaned as stated on the registration form. The Vice President for Student Live and Dean of Students may suspend the privilege of serving alcoholic beverages on the campus by any residence group or other organization for any time period considered appropriate when there is evidence that the group or organization has failed to cooperated with the College in achieving the objectives of the alcohol policy. It is the responsibility of the host organization to abide by all college, local, and state ordinances regarding the possession or consumption of alcoholic beverages. Failure to apply said controls will result in disciplinary action and the immediate suspension of privileges and/or loss of recognition.